The Cinque Terre are five coastal villages in the province of La Spezia in the Liguria region of Italy. "Discovered" by foreigners in the late 20th century, they have come to be among the most popular areas of Italy among tourists. 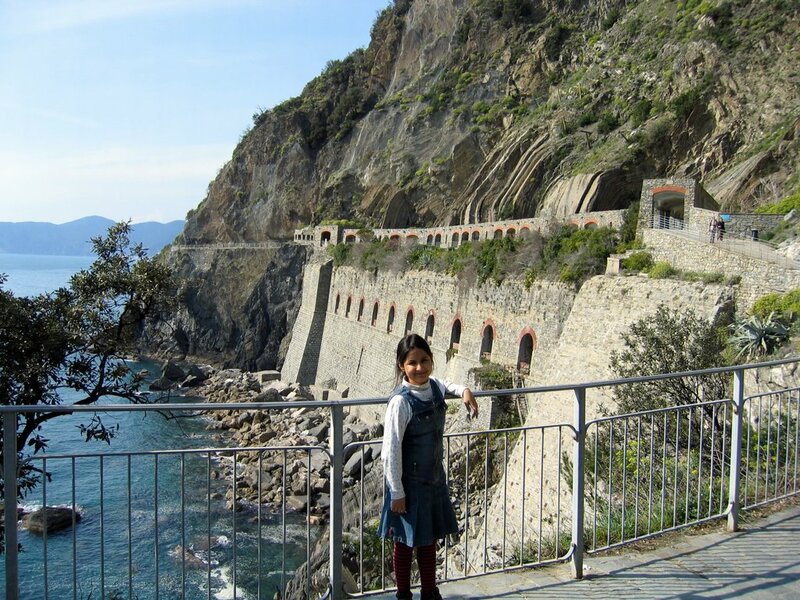 The coastline, the five villages, and the surrounding hillsides are all encapsulated in Cinque Terre National Park. 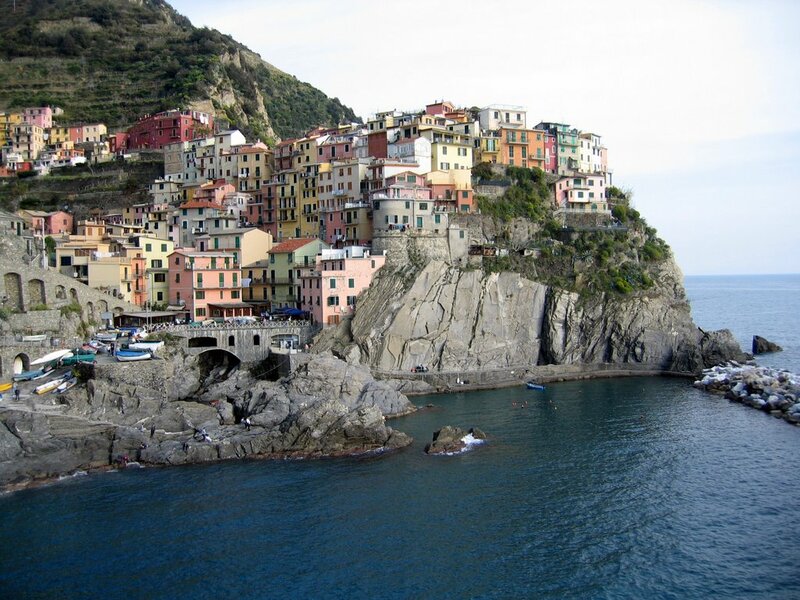 The Cinque Terre is a UNESCO World Heritage Site. 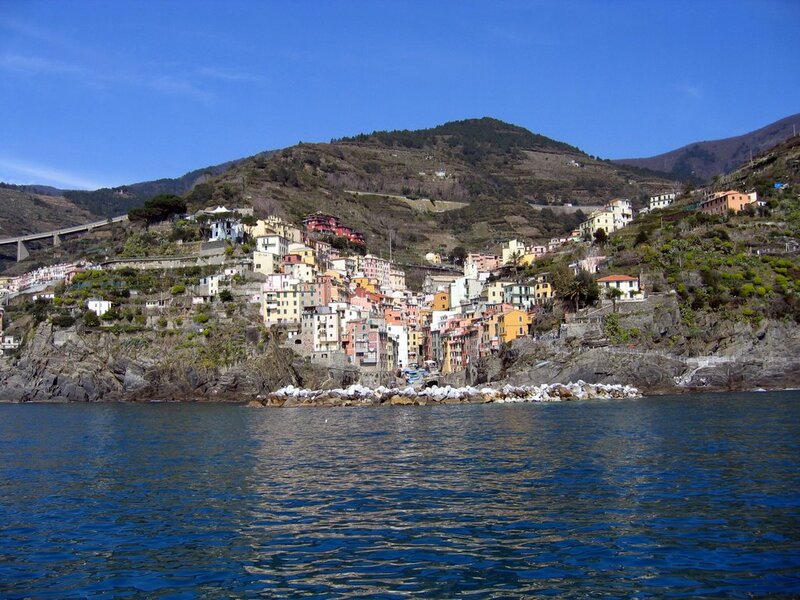 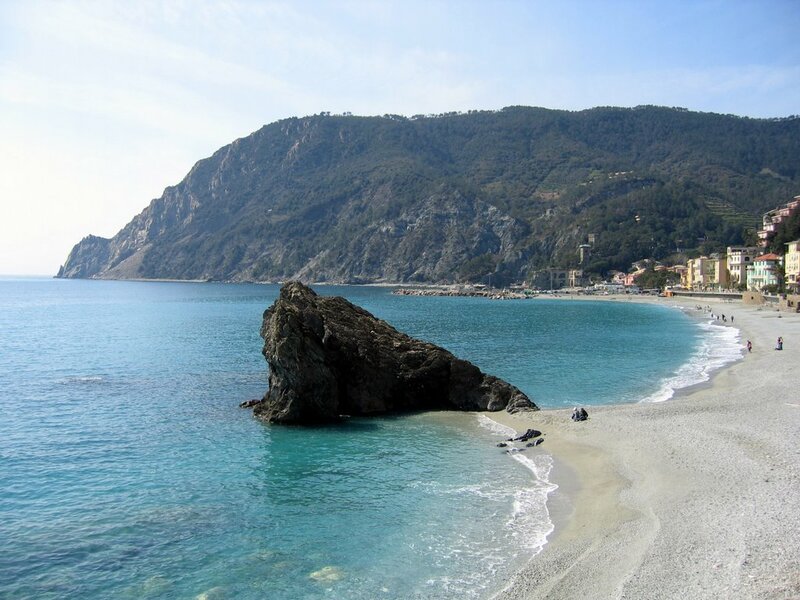 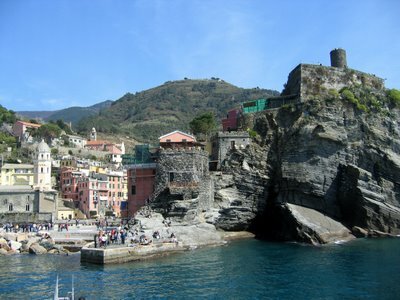 The five villages are Monterosso al Mare, Vernazza, Corniglia, Manarola and Riomaggiore. 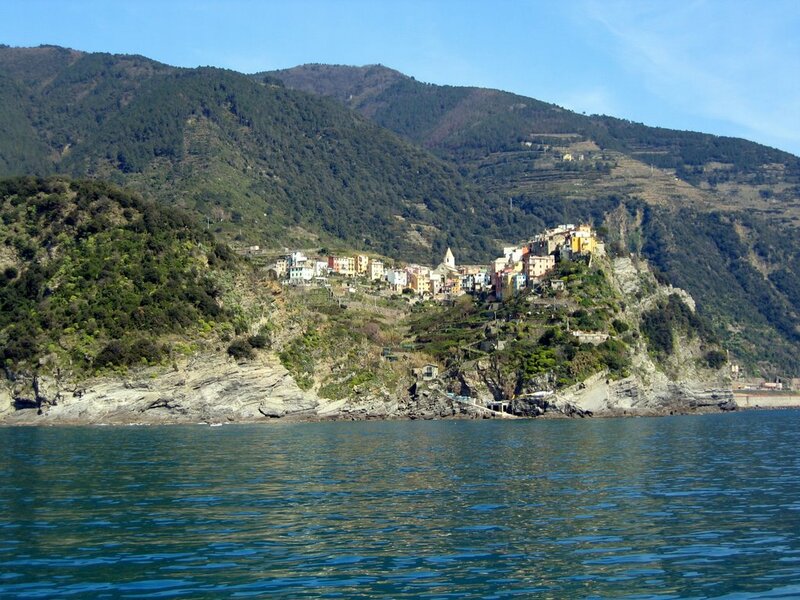 Unlike the other localities of the Cinque Terre, Corniglia is not directly next to the sea. Instead, it is on the top of a promontory about 100 meters high, surrounded on three sides by vineyards and terraces and the fourth side descends steeply on the sea. 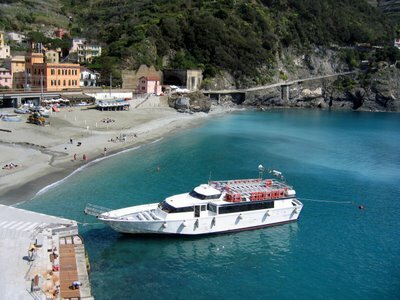 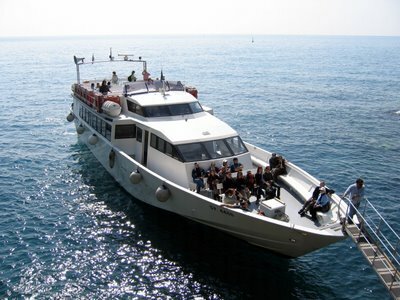 There is a passenger ferry service running between the five villages, providing a different vantage point of the rugged coastline and shore line at each village. 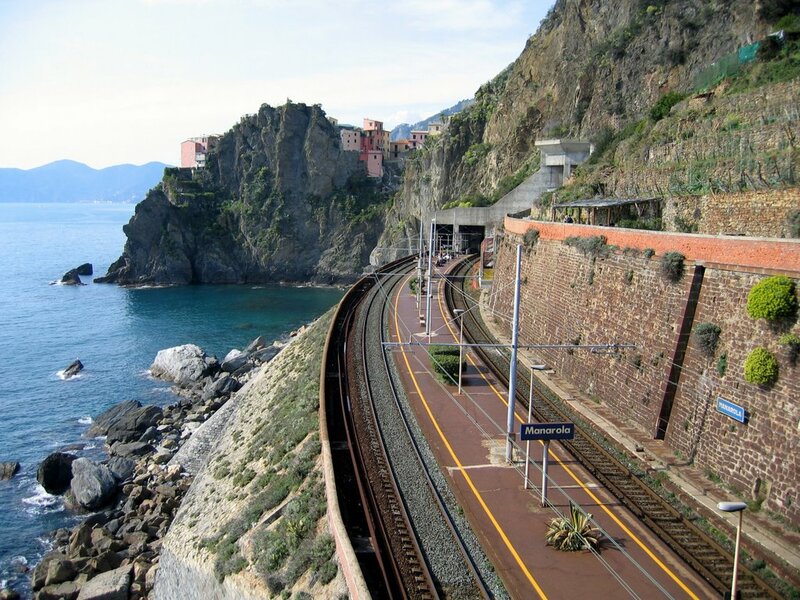 A local train line from La Spezia to Genoa connects all five villages. The train connecting the five villages runs in what is mainly a tunnel for the full distance between Riomaggiore and Monterosso, emerging from the rock infrequently for quick glimpses of the Mediterranean down the hill. 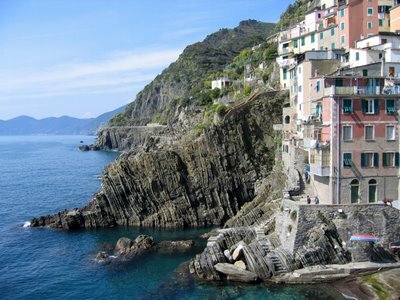 The path from Riomaggiore to Manarola is called the Via Dell'Amore. 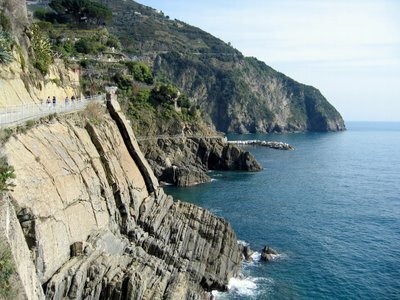 It winds along the shore, is very picturesque and is easy to hike.